Television creative Edgar Tang didn't intend to do a documentary about the first man to be cured of human immunodeficiency virus (HIV). He flew to the city where the man previously lived, for an entirely different purpose. "I was so intrigued that he wasn't widely reported, so I decided to go to Berlin and feel his city to write a fictional feature about him. I said to (co-director) Dzul (Sungit), "If nothing happens, we'll have a holiday together". Dzul Sungit replied, "Why not I bring a camera down?"" 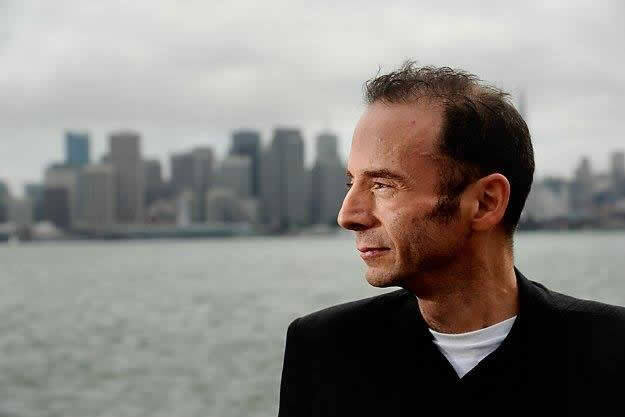 That journey to find that man, 47-year-old Timothy Ray Brown, led Tang to produce his first documentary called "I Hugged The Berlin Patient" -- a reflective exploration spanning three continents, retracing the medical marvel's life through his favourite city Berlin, the doctor who cured him, and his friends. "I Hugged The Berlin Patient" recounts Edgar's organic yet manic search for Brown, termed "The Berlin Patient" in reference to the city Brown resided in while he worked as a German translator. The film carries personal meaning for 38-year-old Tang. 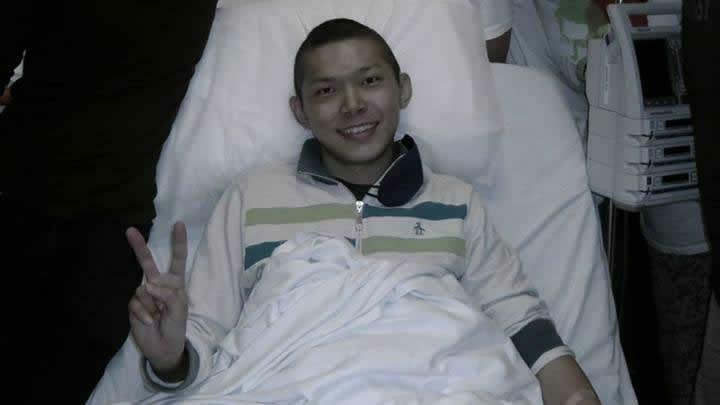 In the film, Tang reveals that struggling with Stage 3 Hodgkin's lymphoma and emerging a cancer survivor are the reasons why he wanted to find Brown. "There is an emotional quality to his story that was yet to be told. He was "suay" because he had all this skepticism from people who thought he wasn't cured of HIV. It got me smitten and I was empathising with him as a cancer survivor," Tang explained. Brown was HIV-negative since 2007, after his doctor Gero Hutter replaced Brown's immune system with a stem cell blood transplant from a donor who was genetically immune to HIV. At first glance, the title itself reveals the strong first-person narrative. Tang takes you on a journey to find Timothy through scrappy iPhone recordings, cobbled-up piece-to-cameras via webcam and moments between cinema vérité and shaky footage. The film shots are as MacGyver as the unplanned yet organic process of finding Brown. Tang told Yahoo Singapore that he heard about Brown in 2011, when Stern Magazine revealed the latter's name in an interview. Brown had not revealed his name when he was cured for privacy reasons, prompting American media to term him "The Berlin Patient". After unsuccessfully finding out more information about Brown due to the lack of media publicity, Tang takes a leap of faith in the beginning of the film and flies off to Berlin to find Brown, not having any contacts to him or bringing along a translator. His journey leads to Berlin's LGBT-friendly neighbourhood of Schoneburg, where Brown lived before moving back to the United States. When he discovers that not many people know about Brown and his story, he creates a wearable sign asking if passersby knew about Brown, to little success. "I was frustrated by people who didn't know about him; he was in their backyard and nobody knew. 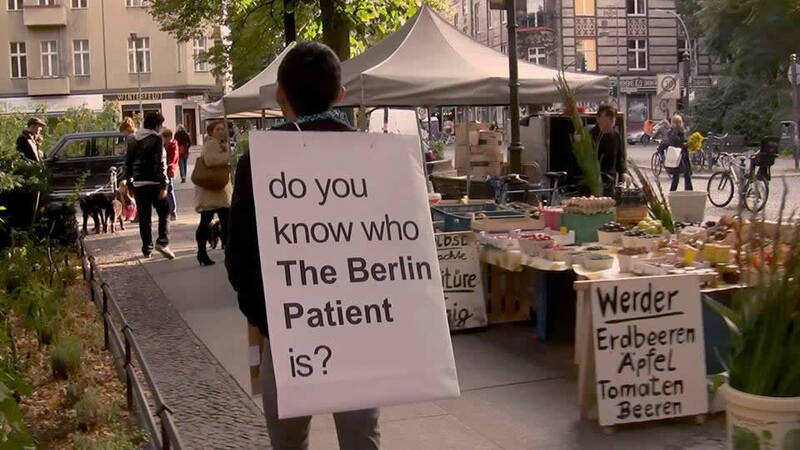 (Brown's) doctor explained to me that "The Berlin Patient" is not a German term and was only in American press, which Germany wasn't really exposed to. Language could have been an issue," said Tang. Tang revealed that some members of the HIV-positive community did know about Brown when the director made a trip to a HIV-positive cafe in the area. However, Tang says those he spoke to "put (Brown's) case at arm's length" because they, having lived with HIV for many years, did not want false hope that HIV is curable. The trip to the cafe was unrecorded for privacy concerns. Tang told Yahoo Singapore that the fictitious feature did make it into the documentary after all. Scenes from Three Timothys were placed at certain points in the film. The short tells the story of a woman who gets killed after a dinner date with a serial killer at his house. Tang reveals the intent behind inserting the short and personifying the serial killer, "We get chosen by good things but they don't lead to good results. What are the chances of you being chosen by a serial killer? If you get chosen, do you walk to it or do you run away?" According to Tang, his interview with Brown in Amsterdam on the documentary's final scene was "revealing and surprising but we didn't want to give audiences a culture shock", so instead of airing the interview, the short drama acts as a tease into the key points Brown revealed about himself to Tang. Although Tang said that Brown admits his promiscuity did him in, the back-story of Brown being gay is not highlighted or scandalised in the film, instead referenced as part of his everyday life through his time in Schoenburg as well as the casual ex-boyfriend mention. The focus is kept towards Timothy's story of initial reluctance, bravery and message of hope in the race for an AIDS cure. Hope and bravery was what Tang believed Brown possessed to get through challenges post-recovery, such as suffering from delirium, being beaten to near-death in Berlin and living in uncomfortable circumstances in America with no free healthcare. "You would expect him to be not so unfortunate... it became even more poetic in irony," Tang reasons why he was inspired by Brown's struggle. The manic in Tang's ways befit the exuberance in unraveling the truth behind Brown. Yes, there is indeed much to know about a man who is heroic yet recluse, but much to celebrate about how Brown is passionate about another struggle: supporting neglected research in the fight to find a cure for AIDS. 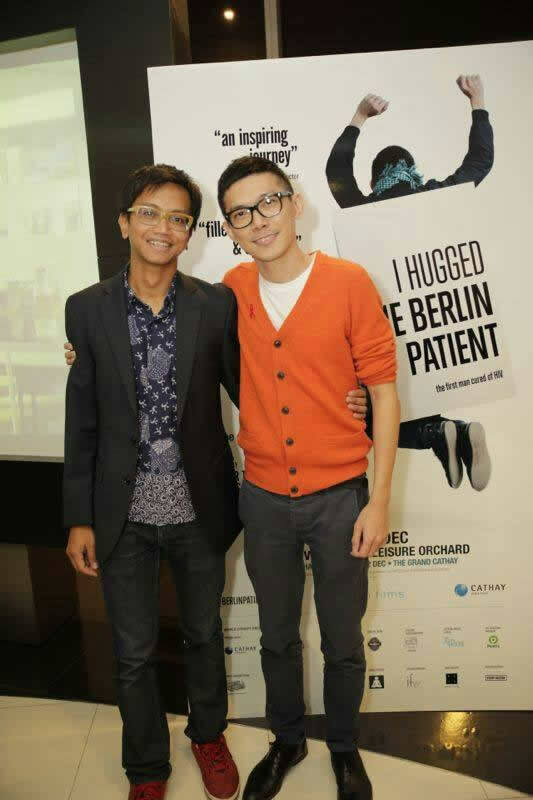 "I Hugged The Berlin Patient" premiered the day after World Aids Day in Singapore. It screens in Cathay Cineplex Cineleisure Orchard for a limited run, from December 19th.